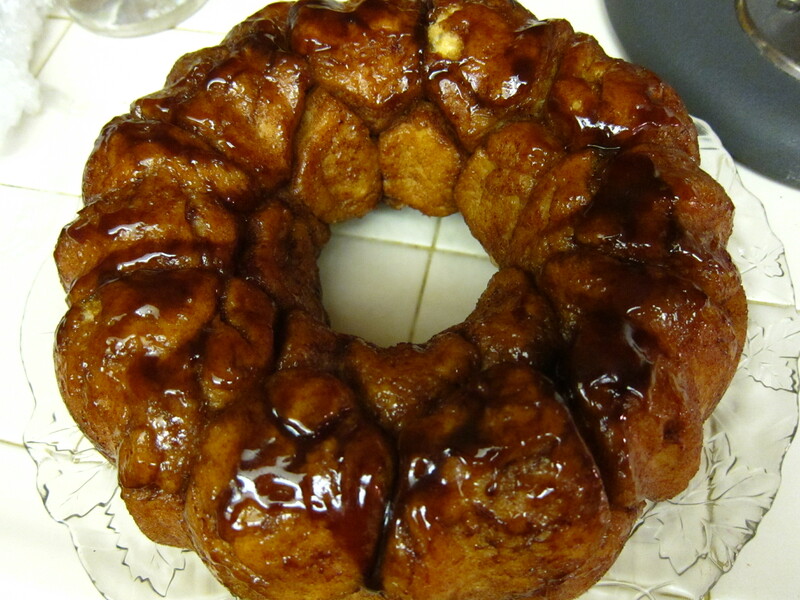 Monkey bread, also called African coffee cake, golden crown, pinch-me cake and bubbleloaf, is a sticky, gooey pastry usually served for breakfast. Recipes for the bread first appeared in American women’s magazines and community cookbooks in the 1950s, and the dish is still virtually unknown outside the United States. The bread is made with pieces of sweet yeast dough which are baked in a cake pan at high heat after first being individually covered in melted butter, cinnamon, pecans and sugar. I was heading up to Northern California to see my favorite boys and I obviously opted to not put in the nuts since Robin is allergic to them. But, I think it would taste lovely with them so if you can, you should! It is also traditionally served hot so that the baked segments can be easily torn away with the fingers and eaten by hand. Yum yum yum! First thing’s first: preheat the oven to 350 degrees! Okay, so then you need to butter a bundt pan and a medium bowl [don’t worry, you’ll find out what for in a sec!]. Then we needta start working with the yeast! You have to soften the yeast first. Soften it in some warm water with a sprinkle of sugar for 5 minutes. To start the dough, mix all the remaining wet ingredients [with the dough hook on your standing mixer] and slowly introduce your softened yeast. Then begin to slowly incorporate the flour. 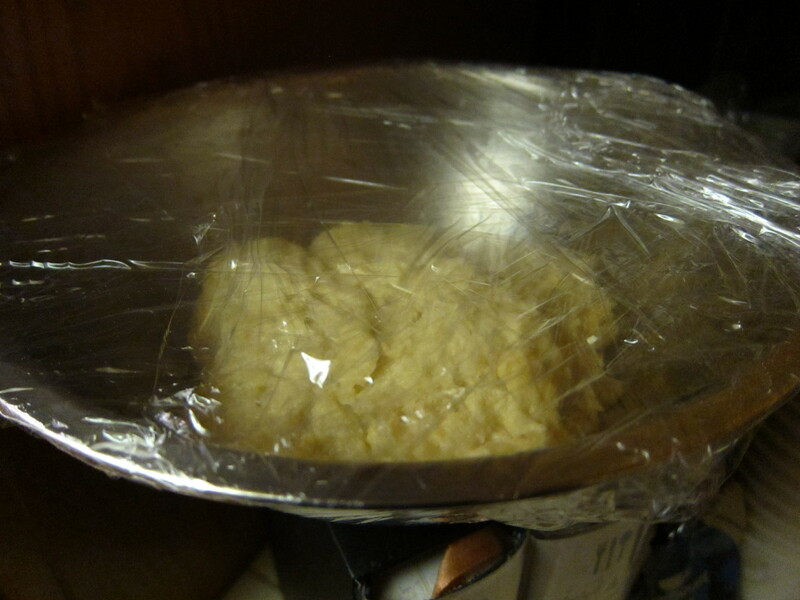 knead on medium for 1 minute and then transfer the dough to the prepared bowl and cover in plastic wrap. 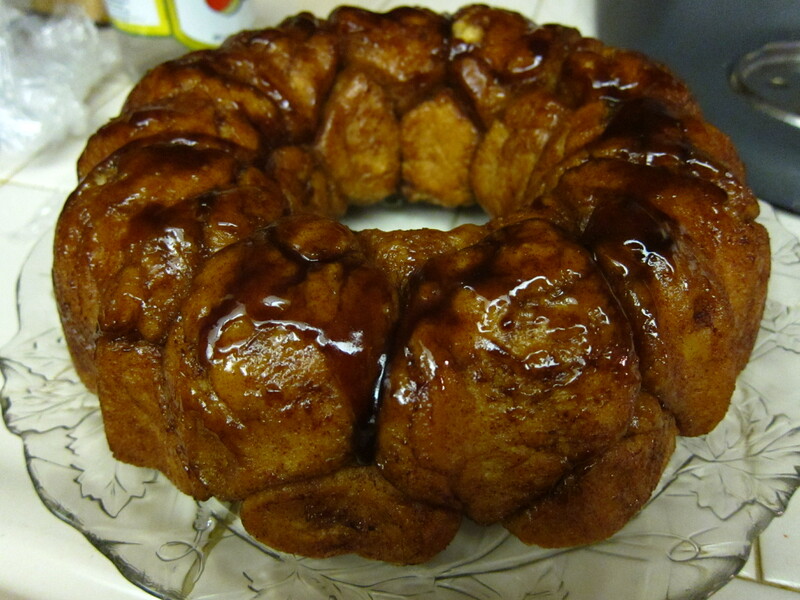 Sprinkle two tablespoons of the cinnamon sugar mixture on to the bundt pan. Now cut dough into 1/2 inch pieces and roll into a ball. 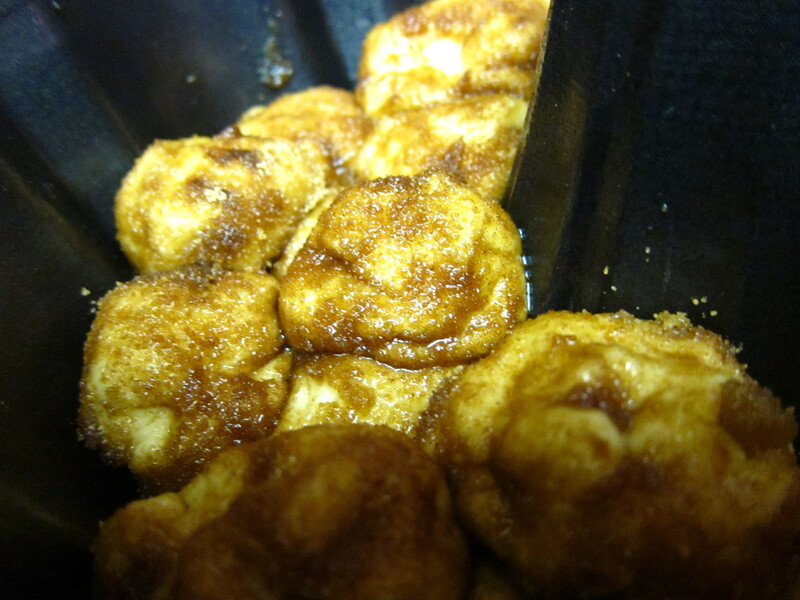 Dip in the butter and roll till cover in cinnamon mixture and drop into bundt pan. Do this until you run out of dough. 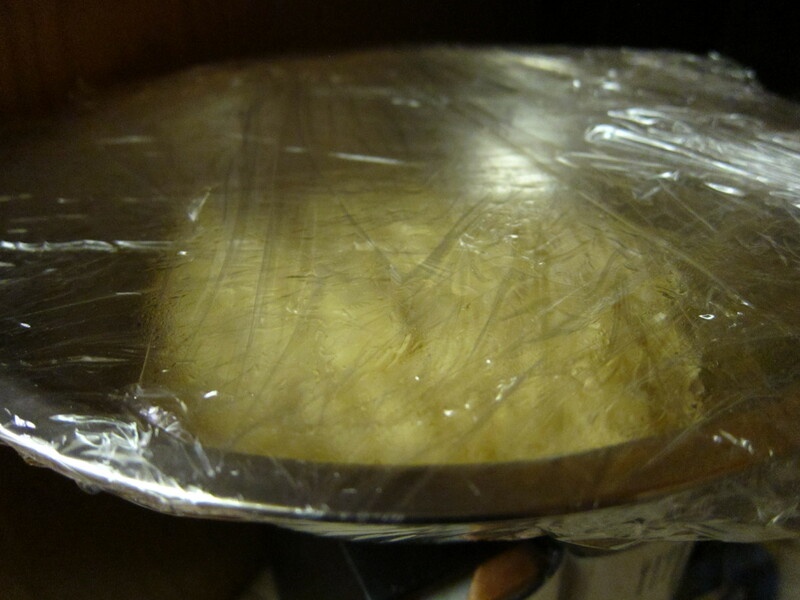 Okay, so now, cover in plastic wrap again and leave in a warm place for an hour until the dough has doubled in size. Once that’s over with [I hate the waiting!] 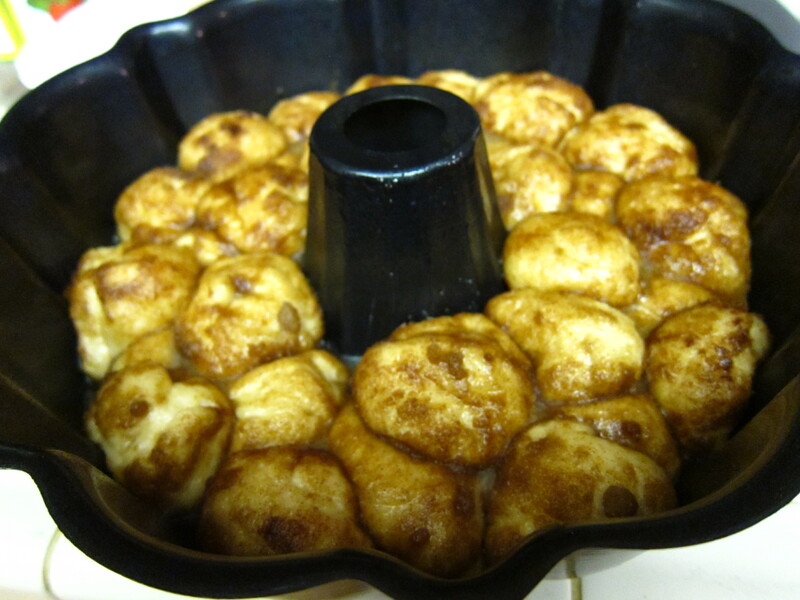 pop the bundt pan into the oven for 30-35 minutes. Take it out and let it cool for 15 minutes. 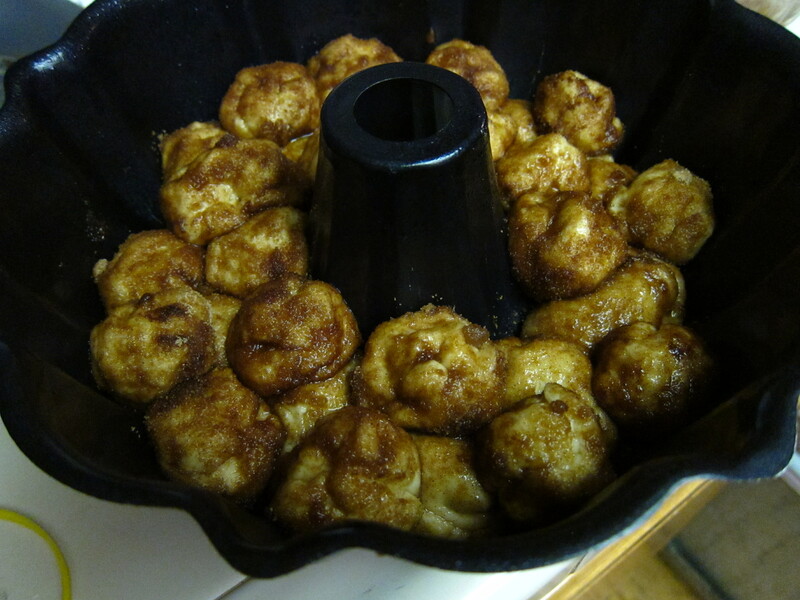 Then grab a serving plate and flip the bundt pan onto the plate and uncover! 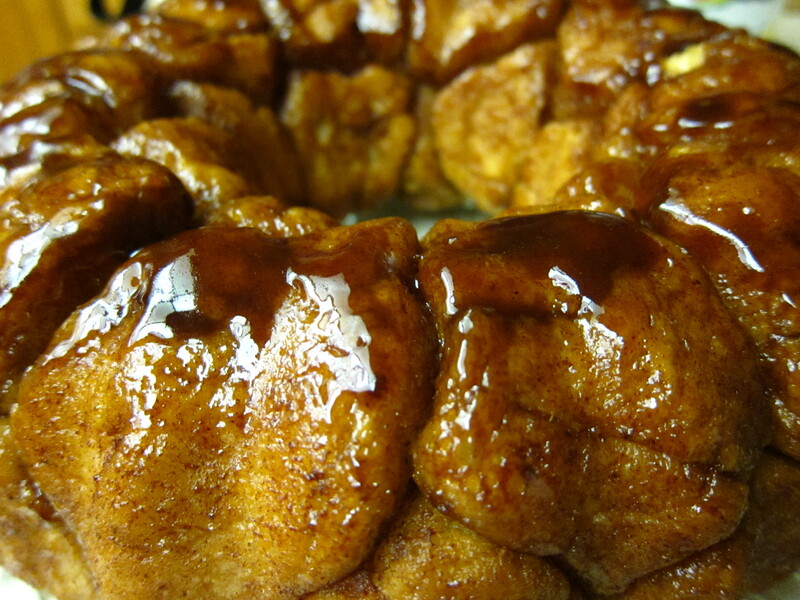 MMmmmm, just look at that ooey gooey glaze. All in all it’s a very delicious and very easy dessert to make. The only hard part for me was the waiting! I hope you enjoy! Lightly coat a 10-inch Bundt pan and a medium bowl with butter; set aside. Put the warm water and a pinch of sugar in a small bowl; sprinkle yeast over top. Stir; let the yeast soften and dissolve, about 5 minutes. Place shortening, milk, sugar, salt, and egg in the bowl of an electric mixer fitted with the dough hook. Add yeast mixture to shortening mixture, and beat to combine. Slowly add flour. Knead on medium-low, 1 minute. 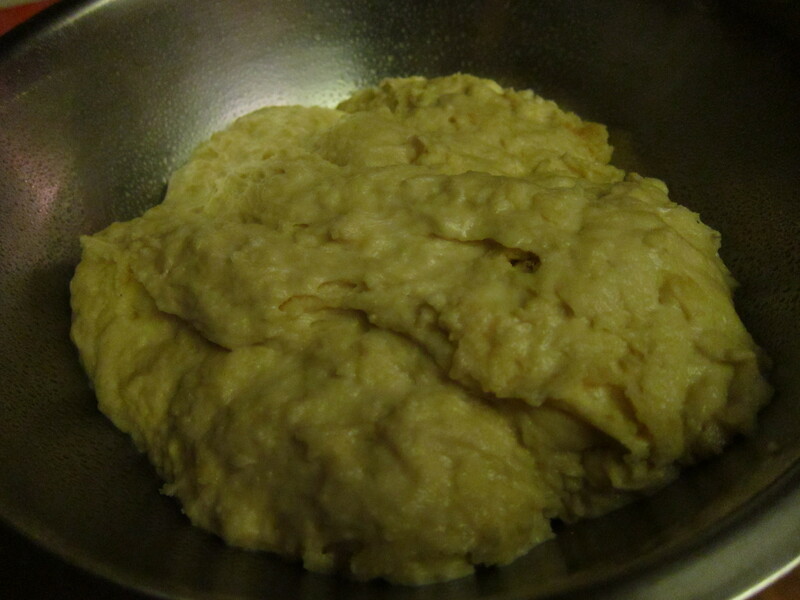 Transfer dough to the prepared bowl. Cover with plastic wrap, and let stand in a warm place, 20 minutes. Make coating: Place melted butter in a bowl. 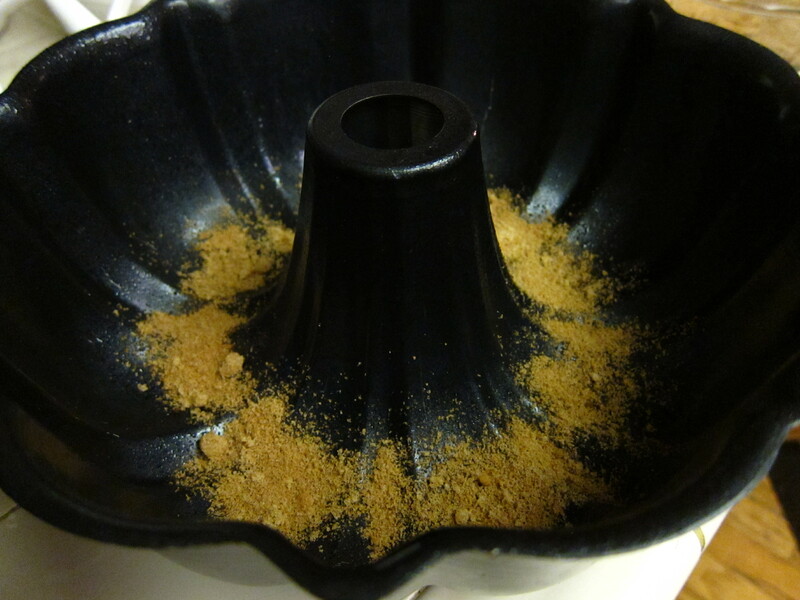 In a second bowl, combine brown sugar, cinnamon, and nuts; sprinkle 2 tablespoons nut mixture into prepared Bundt pan. Cut dough into 1/2-inch pieces. Roll into balls. Coat in butter, then roll in nut mixture, and place in prepared pan. Cover with plastic wrap, and let stand in a warm place until doubled in bulk, about 1 hour. Preheat oven to 350 degrees. Bake, 30 to 35 minutes. Let cool in pan for 15 minutes. Invert onto a serving plate, and let cool 20 minutes more.